Ralph Roddenbery & Friends perform at Hendershot's Coffee Bar in Athens, Ga., on Wednesday, Feb. 27, 2013. (Photo/Taylor Perry, tayperry@uga.edu) Posted: Thursday, February 28, 2013 3:00 pm | Updated: 7:28 pm, Thu Feb 28, 2013. The college crowd missed out Wednesday. While students spent the evening stressing out over midterms, older Athenians crowded Hendershot’s Coffee Bar to hear Ralph Roddenbery play roots rock with guitarist Beetle Andrews and bassist Tommy Jones. Roddenbery’s voice ranged from a low gravel to a high whisper but always bore a warm, gritty timbre. Capable of the belting at which so many fail, he sang about love, loss and disappointment with a sincerity of experience. Though Roddenbery’s music wasn’t by any means groundbreaking, it was strengthened by simplicity. The group, anchored by Jones’ steady fingerwork and Andrews’ well-placed guitar solos, played unassuming but energetic music that spoke for itself. The upbeat “Get Up Off Your Hands” was a cheery soundtrack for optimism, whereas the soulful “Boo Coo Disarray” was a humorous reflection on the frustrations of life. The singer acted as musician and comedian, regaling the crowd between songs with tales of a naked recording session, a third grade affair — once, a Chris Rock impression. Even Roddenbery’s songs were occasionally interrupted by his rendition of a baby’s cry or a dog’s woof. The crowd loved him. It was a dance party for 50-somethings. Instead of playing an anonymous show for strangers in a bar, the musician played for friends and friends of friends. It makes sense for Roddenbery to have a local following — he spent 20 years in the Athens music scene and wrote most of the songs in his set here. Wednesday night was a homecoming celebration of sorts, complete with cupcakes. Midway through the first set, Eddie Glicken hopped on stage to jam on djembe. Though the musicians had held their own sans percussion, his addition amped the energy even more. The band played off that energy and kept the crowd going well past 11 p.m., which was later than this girl wants to dance at 19, much less at 51. But Roddenbery’s people knew good Athens music and rejoiced in it. Roddenbery sees a future in the town much like the past that brought him to his present. At first listen, the opening song (“Maud Only Knows”) on Side Affects’ Between the Stones album seems to be a play on words and a joke. “Maud” rhymes with “God”, and the similarly named Maude was a TV character from a show that was also called Maude. Why do things happen the way they do? Maude only knows, right? No, wrong. Maud was actually Elizabeth Reed’s daughter, and Reed was made famous in an old The Allman Brothers Band song. 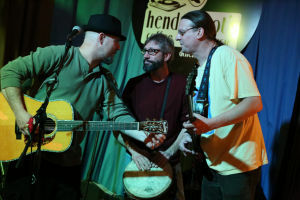 Ralph Roddenbery, Scott Mecredy and Michael Hurwitz, the Side Affects’ three primary songwriters, learned about Maud Reed’s existence after visiting Duane and Barry Allmans’ graves, which were located not that far from Reed’s in the Rose Hill Cemetery in Georgia. There may be a strong connection between Side Affects and the Allman Brothers because of this song, along with the band’s name, which is taken from a line in “Maud Only Knows”. However, the Side Affects sound is very different from the music The Allman Brothers Band makes. The Allman Brothers Band is famous for rollicking Southern rock, which is noteworthy for the style’s dueling electric guitar passages. In contrast, Side Affects plays a gentler brand of folk and bluegrass. Instead of stinging guitar leads, played through Marshall amps, Side Affects color songs with shimmering mandolin lines and other acoustic instrumentation. The Grateful Dead comes to mind far more often than The Allman Brothers Band while listening to Side Affects. The Grateful Dead probably sounded like a few old men playing music long before they were actually old men. Although Side Affects likely aren’t old men yet, they sure sound like a few old men, picking and singing around a campfire. The Grateful Dead also owes a grateful debt to the pioneers of bluegrass. Even though you may not hear a whole lot of bluegrass influence on The Grateful Dead’s music, it certainly showed up on the band members’ side projects and solo albums. Similarly, Side Affects dearly love bluegrass music. This collection of 12 songs offers a sober perspective on life. “Little Nuggets”, for instance, speaks of the sort of the wise sayings that are passed down from generation to generation. “She Can” takes time to show appreciation to a mother and a wife. Then again, there are songs on this album that are just plain silly. “Something’s Gonna Get Ya”, for example, speculates on just might happen if somebody had a close UFO encounter, among many other possible life ending scenarios. But the ultimate message of the song is not to worry about how death will show up at your door; instead, its message is to enjoy life while you’re living it, and not to worry. Side Affects write songs one can relate to and play them well. Between the Stones is akin to musical comfort food. There is warmth in the musicianship, and empathetic words in the songs. This partnership may have begun as the writing collaboration of Ralph Roddenbery, Scott Mecredy and Michael Hurwitz, but it sure sounds like that has turned into an honest to goodness band. And such are the Side Affects of meaningful musical collaborations. Former Athens, now Atlanta singer/songwriter Ralph Roddenbery isn’t a paid motivational speaker, but he very well could be. Roddenbery’s songs often focus on the perseverance of life’s scrappers and underdogs, which bring to life much of his self-titled band’s new release, For So Long. Former Grapes guitarist Ted Norton, drummer Richie Jones, bassist Tommy Jones and additional vocalist Samantha Alessi-Jones join Roddenbery here. The filled-out group brings a more up-tempo and rocking sound than was heard on the intimate, mostly acoustic release Live from Tree’s Sound Studios. Some songs are longtime concert staples, while others arrive fresh from the looseleaf. Throughout, the group keeps the show rolling with a sharp blend of roots and jam rock, blues, Americana and country inflections. One of Roddenbery’s greatest strengths as a lyricist and singer is that although he often comes across as sentimental or unshakably positive, he never sounds schmaltzy, preachy or trite. On a revamped “Fix Myself,” Roddenbery, in his raspy country tone, suggests he’s trying to do better, trying “to fix myself, but it’s getting pretty hard to find the parts.“ The country-flavored “HDL Walken” documents the many hard-earned “hundred dollar lessons” that inspired the song, while “Paper Doll in a Forest Fire” is a driving, love-damaged ballad that many of modern rock’s emotive crooners couldn’t touch. HTN Review of "For So Long"
When you need a spiritual lift, turn to For So Long, the new release from Ralph Roddenbery Band. With its hauntingly poetic and evocative lyrics and its mesmerizing melodies, the album's 13 tracks revitalize the heart and lighten the load, even as it rocks mightily through Americana. The pace is set with the opening track - "She Gets There, " a high-velocity vehicle for some shimmering Hammond organ and for Roddenbery's quick-lick, energized electric guitar. The tempo slows with the intense "Get Up Off Your Hands" and '"Paper Doll in a Forest Fire," which stir up emotions and capture the essence of life, love and resilience. The country-rock track "HDL Walkin" picks up the pace, prompts profound memories and forces the listener to smile about the circumstances that have made us who we are. The title song features beguiling percussion and some amazing harmonies, while "Life" and "Fix Me" encourage us to accept life as it is and to build the present from the past. With its two-step beat, "Sir Williams Garden" paints a vivid picure of love and heartbreak, expressing the gamut of human emotion. Mandolin, violin and capitvating vocals from Samantha Alessi-Jones make the bonus track, "Your Love is the Kind" a liberating experience. Ralph Roddenbery is an emerging talent, and For So Long is truly good for the soul. "Upbeat, positive, and downright danceable, Ralph Roddenbery’s latest release, For So Long, is a dream come true for a jam fan searching for depth. The message of love permeates the album and emerges in each of the 14 tracks like rays of sunlight appearing over a ridge; this message is a staple to Ralph’s loyal fan base which turns out in festive droves to his live shows. It is also a testament both to Ralph’s songwriting abilities and the grand production work of bandmates Richie Jones and Ted Norton of capturing that amiable vibe in a studio setting. With a vocal delivery comparable to Cat Stevens, should he have ever walked barefoot through kudzu, Roddenbery’s projection on “Get Up Off Your Hands“ gives the listener a musical pat on the back. The number is a strong candidate for album standout, but “Take the Time” very well may take this top honor. Bringing Samantha Alessi-Jones to the forefront for the duet gives the listener a reflective perspective before bringing out another groove laced number to keep those feet busy. For So Long is out now on Ralph Roddenbery Music. If there is one phrase that is overused in rock ‘n’ roll to describe a new talent, it’s “The New Bob Dylan.” It is a meaningless phrase, as there can never be a new Dylan. But if I were to use it, the only artist I would consider describing as such would be Ralph Roddenbery. Hailing originally from Athens, Ga., and now living just outside Atlanta, Roddenbery is one of the most amazing songwriters I have come across in my lifetime. He truly has a gift, an amazing ability to put into words thoughts and feelings to which practically anyone can relate. His creativity is boundless and all-encompassing. I have seen him write a meaningful song on the spot given three seemingly unrelated words with which to work. In addition to his endless creativity, Roddenbery is a fiery and imaginative performer. His shows are intimate, even in a large arena setting, energetic, even when the crowd seems apathetic (which they never are for very long), and guaranteed to leave you with a positive feeling. Roddenbery has previously released two great live albums, and now a long-awaited and highly anticipated studio album titled “For So Long” is available through his Web site, ralphroddenbery.com. The album boasts some of the finest players in the region, including former Grapes guitarist Ted Norton, the great Tommy Jones on bass, drummer extraordinaire Richie Jones and his wife, Samantha Alessi-Jones lending her lovely voice to the mix. In addition, special guests Zebulon Bowles (who since recording has become a full-fledged member of the band) brings his violin prowess to several tracks, and members of Stop Drop and Roll and Deep Blue Sun also make guest appearances. “For So Long” is an epic album that simply does not have a bad song on it. In one fashion or another, you’ll be able to relate to every song in your own way. The Ralph Roddenbery Band plays often in the Atlanta area, and I urge you to road-trip over there one weekend to see him and purchase his album. Hear Wildman Steve’s Internet radio station, Internet radio for music lovers 24/7, at wildmansteve.com. Wrapping up an Americana run here on ItGotSoul with another of the great unknowns. Ralph Roddenbery and the Jones are local favorites in the north Florida-south Georgia area. Check this show and you’ll see why his fans think Ralph’s the greatest thing since sliced bread. By the way, sliced bread debuted in ’28. Holsum took it nationwide that same year. Wonder Bread didn’t get into the sliced-bread game until ’30. Let’s get Ralph some publicity before our next Great Depression arrives, huh? Ralph’s band mates for this show include Mike Beetle-Andrews on guitar, John Wallace on bass and Ritchie Jones on drums. Samantha Alessi-Jones joins Ralph on vocals. Ralph produced a hard-to-find collector’s item in ’95, Fix Myself. Things didn’t happen for him again until the release of Ralph Roddenbery & Friends Live at Tree Sound Studios (‘03). He cut For So Long (’08) with the Jones. Last year, he put together Side Effects to record Between the Stones (’10), a collaborative songwriting effort on which the Jones played. 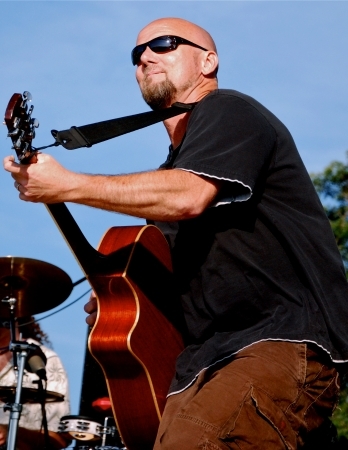 This show, a wonderful representation of the man and his music, occurred at Smilefest in Pinnacle, NC, on June 4, ’11. Here it is on Live Archive, for listening or downloading: http://bit.ly/ntBr8Y. Visit Ralph’s website for more information on his projects (http://www.ralphroddenbery.com). People have taken notice, and they’re seeking Ralph out. Now’s your turn to learn. “Do not ever say I give up,” Ralph says. “I know my hair is coming back.” “Get Up Off Your Hands” comes off So Long. Another call to action. “Get up off your hands and try,” Ralph sings. “You gotta get up off your hands and fly.” Mike offers some tasty leads, perfectly paced. “Get up, get up, get up, get up,” Ralph sings. “Like Marvin Gaye said.” More tasty Mike bits. Now we’re rockin’ a Ralph show. Join us. In studio, from: http://bit.ly/peKgb1. Ralph gives props to Smilefest. “It’s a big love army,” he says. “Peace soldiers you are.” Bobby Miller joins the stage with his mandolin, while Wildman Steve steps up on rub board. “They Call Him Tumbleweed” features more strong fretwork from Mike. Bobby follows with some nice mando licks. “I remember the night when the storm came rolling down. Took their house and washed it down the mount,” Ralph sings. “He never found his bride, looks for her still. Cussin’ at God high up on that hill.” OK. “The town takes care of tumble, that’s what they do,” he explains. “Cause they know the pain an’ the war that he’s been through.” Wonderful. In studio: http://bit.ly/pS2V2J. “Stay with us for one more, Bobby,” Ralphs says. “Pushing On A Pull Door” comes off Roddenbery and Friends Live. Ralph wrote it with longtime bass player Randy Jones. “Pushin’ on a pull door, kissin’ on a dirty floor, tryin’ to survive,” Ralph sings. “Livin’ in a funny way for yesterday, ‘till I found out. Pushin’ on a pull door ain’t never gonna get you out.” This one has a great melody, with plenty of room for Mike and Bobby to jam. Cool changes of pace, too. From ’09: http://bit.ly/lejdHq. “I wrote this for my beautiful, one-and-only wife.” Ralph says. “As Good As You Look,” off For So Long, rides a Buffet-style Caribbean beat. “I wish I felt as good as you look,” Ralph sings. “I would feel beautiful.” Halfway thru, Mike jams a lead. A four-minute love song with sing-a-long lyrics for the crowd. Fun. 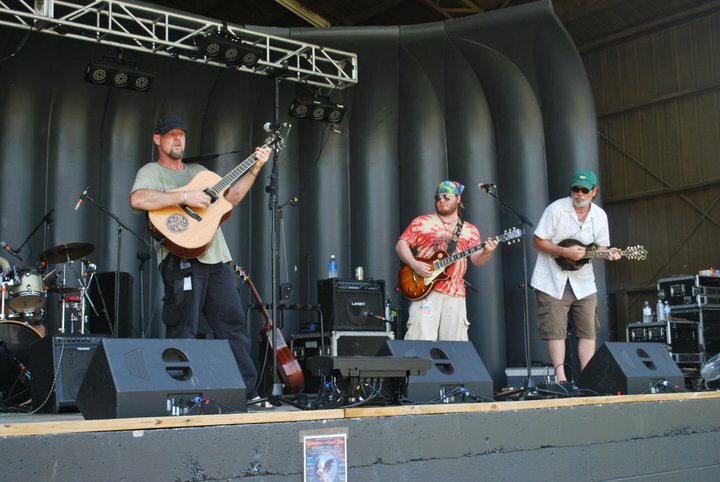 From Suwannee Springfest ’08: http://bit.ly/pgXLSa. How Does He Come Up with These Lyrics That Are Both Simple and Deep? “Don’t miss the ones you’re missing,” Ralph tells the crowd. “They’re hovering.” It’s a slower-paced song, with bluesy guitar from Mike. In the cemetery, there’s a yellow flower sprouting between the gravestones of mother and child. “Maud only knows, how a flower grows,” Ralph sings with Samantha. “Between the stones, standin’ all alone. Standin’ all alone.” Another great sing-a-long. Come from within. From the Springfest ‘11: http://bit.ly/oJnTqq. “You ever tried to fix yourself?” Ralph asks. ”Not in the veterinary way.” Mike gets back to rockin’ on “Fix Myself,” off For So Long. You can hear John workin’ the bass nicely. I like this song a lot. Hard to say what’s better, the lyrics or the music. “Listen to the stories of the beast that other people seem to find,” Ralph sings. “I threw away my energies in a way this man would rather not describe.” Samantha sounds great in the background. From Springfest ’08: http://bit.ly/jFOQR0. From self-reliance, Ralph moves on to thankfulness. Ralph wrote “This Very Day,” off Live, as a requiem for Jerry Garcia. The guitar jam is nasty and the drum beat is powerful. “Don’t you let nothing bring you down, take your ear and put it close to the ground,” Ralph sings. “You’ll hear the music the good Earth play, you’ll be so very thankful, for this very day.” The city takes it from you but the smile gives it back. Uh huh. From the radio studio, two years ago: http://bit.ly/qt7gTs. The final song comes off a compilation produced with Yo Mama’s Big Fat Booty, Big Ole Nasty Getdown, Vol 1 (‘10). Here’s a blog review of the record: http://bit.ly/p2OdSl. “Wake Me Up” gets its job done, to finish the performance on a positive note. “Wake me up, I don’t want to sleep to long,” Ralph and Samantha sing. “Wake me up, I don’t want to miss what’s going on.” More tasty guitar from Mike. It’s been all about struggles and temptations, this show. In the end, trying your best and never giving up is all you can do. Sounds like Ralph himself. From last year: http://bit.ly/gVxF1s. Some of Ralph Roddenbery's friends might argue that he's a tough nut to crack, while others shorten their opinion to just "a nut." Either way, the Georgia singer/songwriter has an undeniable knack for tapping into the emotional undercurrent of his songs, many of which are just as likely to make you laugh, as they are to cause moistening of the 'lids, all within the same four minutes. Roddenbery grew up in the small, south Georgia town of Cairo and moved up to Athens around 1986. At that time, many of his now-longtime friends — including members of Widespread Panic, Bloodkin, and Barbara Cue — were just cutting their teeth in and around the Classic City's music scene. R.E.M. were still years away from peeking above the college radio underground. Though he's long since embraced playing regular live gigs, Roddenbery's recording ventures haven't been so easy to pin down. His self-released first album, 1995's Fix Myself, was recorded with Athens producer John Keane and a crew of local talent — including Bloodkin bassist Paul "Crumpy" Edwards and keyboardist Davis Causey, working under the group heading Second Hand. Playing many gigs with just his guitar as accompaniment, or with basic fiddle/mandolin/second guitar backing, Roddenbery had a much better idea of what he was after on the long-in-the-process 2003 release Live At Tree Sound Studios. This time he was able to pick from a more varied catalog of material and his laugh/cry tendencies served the project well. In the ominous "Boo Coo Disarray," the narrator keeps losing his keys and his goldfish tries to do him in. Later, the moving "Appreciate" says, basically, "I f**ked up, a lot, but I still love you," in much more eloquent fashion. Since the Tree sessions, Roddenbery's been doing the full-band thing more regularly. 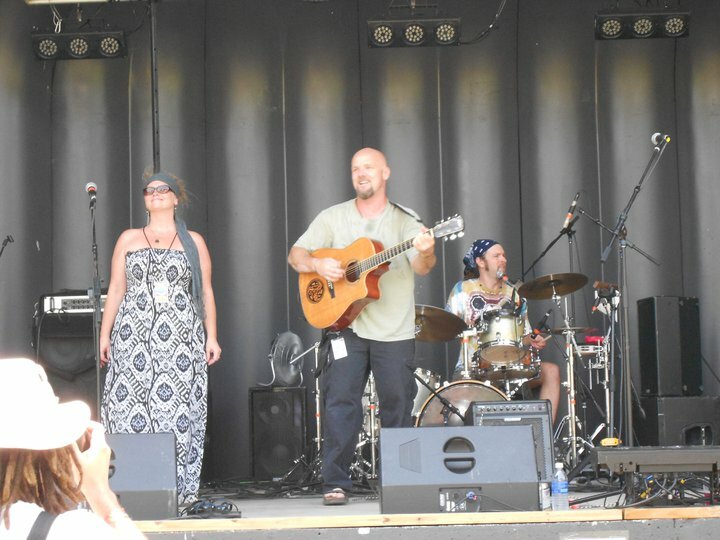 The Ralph Roddenbery Band, the previous lineups of which were fleeting at best, has settled in well with guitarist Chris Rotch, bassist Tommy Jones, drummer Shelley Murphy, and percussionist Chris Larson. All can be heard on the new live effort Let It In, which they recorded with the help of Dynasonic, a studio/label out of Atlanta, where Roddenbery, too, is now based. Whereas the Tree Sound album exuded a comfortable back-porch feel, Let It In allows Ralph and band to cut loose in a more festive atmosphere. "I really love the semi-Motown feel we got on the Let It In recording," says Roddenbery. "I wanted to ooze some rock 'n' roll and, with the help of some good people, we did it. I think we've only scratched the surface, but all bands that aren't the Rolling Stones have probably felt that way at some time or another." HOOTENANNY SPOTLIGHT BAND - RALPH RODDENBERY I've known Ralph going on about nine years now, and what an amazing journey it's been! I first met him when he showed up for HarvestFest at the old site in Fairburn, GA, running a little late and calming his nerves ;-) He and fiddle maestro David Blackmon performed a set for the ages, raw yet beautiful. That was the beginning of what will most likely be a lifetime of friendship w/Roddenbery. His music has evolved over the years, and he's featured more different lineups than I could ever list, but the consistent factors through everything are his extremely high level of songwriting, the professionalism of his fellow musicians and bandmates, speaking from the heart, and the ability to connect with his audience. I'll never forget the workshop I created at Blue Ridge HarvestFest in '03 at Cherokee Farms that included Ralph, Grammy-winner Jim Lauderdale, and MerleFest songwriting champion (twice!) Martha Scanlan, and Ralph stole the show. Once you see him peform, you're hooked for life! Roddenbery is sounding incredible these days and is about to release a new album that defines his sound at this juncture in his career...He is truly one of the most unique and impressionable songwriters I have ever worked with. Bear Creek Music & Art Festival :: 11.16.07 – 11.18.07 The Spirit of the Suwannee Music Park :: Live Oak, FL [Published on: 11/30/07] The Ralph Roddenbery Band brought authentic southern rock that stopped me dead in my tracks as I was walked by them. Roddenberry's lyrics touched upon a thought in my head and reeled me in, and before I knew it I was laying in a hammock getting lost in his words. In the traditional southern storytelling style, his lyrics were easy to relate to, intertwining common threads in everyday human experiences.